AA Safe, Dream Horse ready to show! Max has shown at Training level, finishing 1st and 2nd with a 67% and a 68% with our working student. 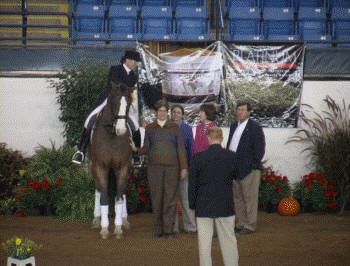 He was unflappable , and used as a confidence builder to lead a nervous horse around the arena and grounds! VIDEO HERE: (NOTE: If you don't see the video below, you are not registered or logged into your account: Please register or log in to view all of our videos. 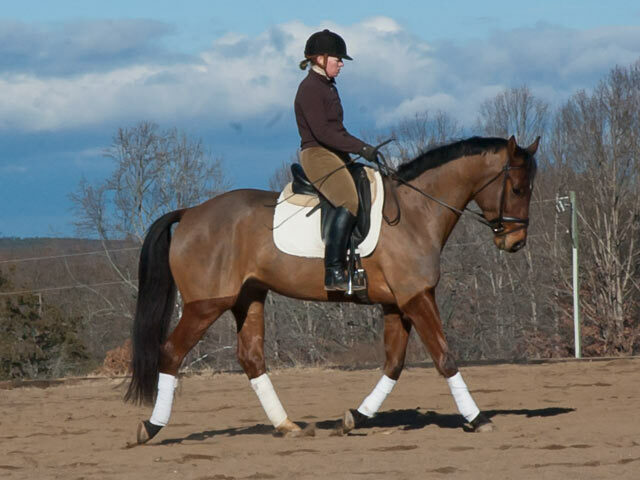 * If you are searching for your perfect versatile dressage horse for sale to teach and grow your skills together, look no further. * Max is a gentleman in all situations. He is not spooky, and shows up to work with a smile on his face! * Max is ready to show first level, schooling shoulder in, all lateral work, counter canter and correctly trained from the beginning by FEI rider Sue Cooper. * If you read the book, you can ride Max. 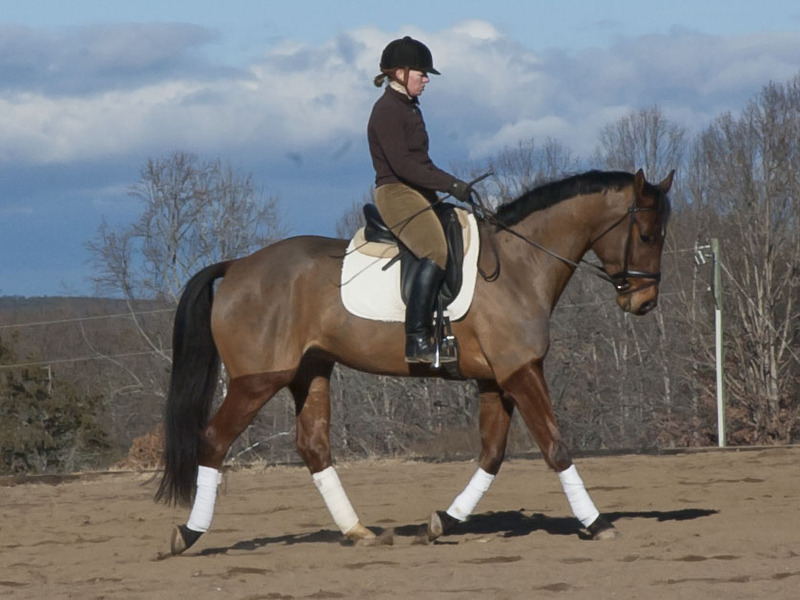 * Max has experience over fences, demonstrated lead changes and is great on trails! 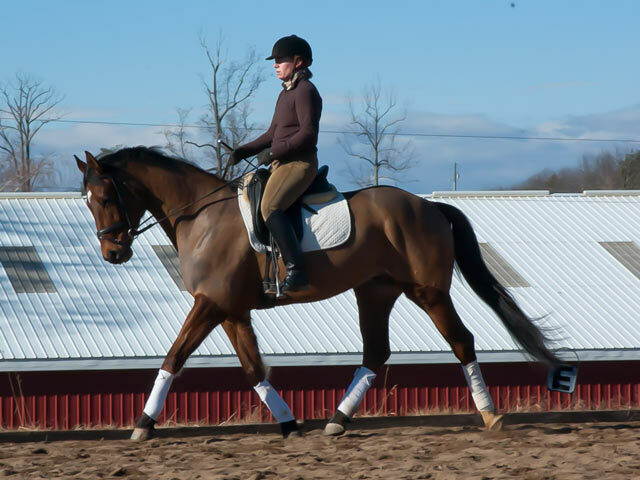 He is easy to sit, forward, light in the hand and fun to ride. * Max ties, trailers, clips, is good in turnout. * He is in full training and ready for you to show now. Max was a STAR on his first Hunter Pace and led the group through multiple water crossings, through cow pastures (through the cows) and was unflapple at the jumping deer. Everybody needs a horse like Max and this is the year for him to find his perfect match. Are you looking for a horse like Max? Click here to put your needs on file and we will call you! I was lucky enough to be a part of Impulsion Unlimited as a working student for almost three years. Working with Sue and Jeff was an amazing experience that has opened many doors for me as a rider as well as giving me great tools for building a successful business. Sue is a great training and instructor. She stays positive when teaching and allows time for you to understand the concepts on your own. 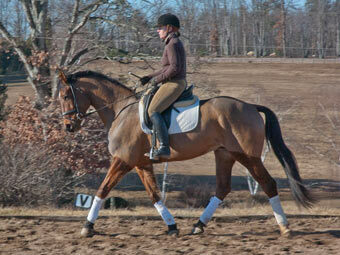 I learned so much about training from un-started young horses through FEI. She also always has great horses to ride! Jeff has developed a wonderful approach to successful horse sales and is very open to sharing his system. It was great to work with a business minded, honest professional in the horse industry. Every customer receives open and honest information about each horse and it was rewarding being a part of some of the great matches that have been made. The experience you can gain from working at Impulsion Unlimited is hard to rival. 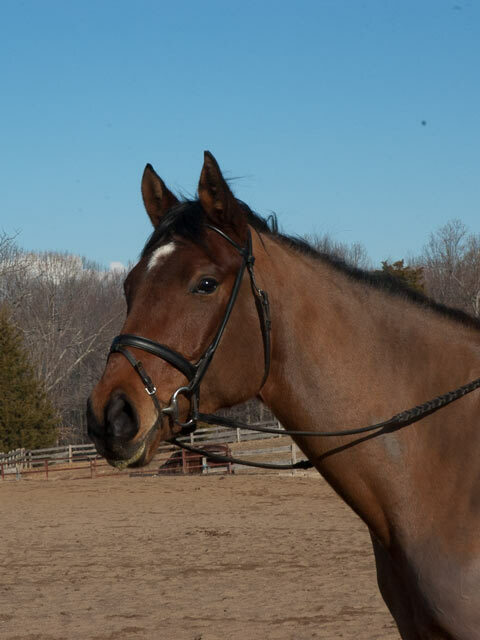 Because it is a sales facility, there are always new horses coming in to be sold so you learn how to ride many types of horses in a short period of time. You also learn how to train these horse so that anyone can ride them which makes them easy to sell! It is very much a team atmosphere, everyone works hard everyday - I never felt like a slave and always had plenty of lessons and horses to ride. 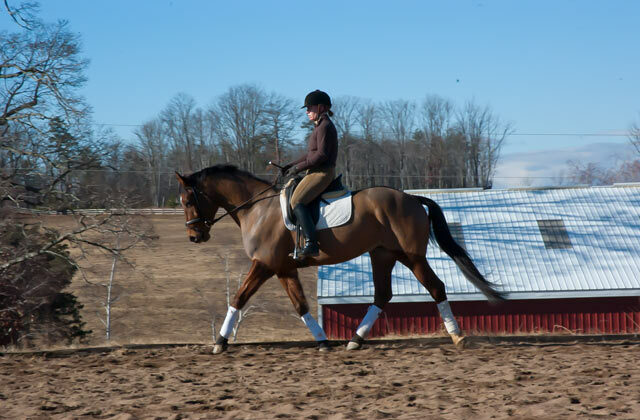 Impulsion Unlimited is great place for horses and riders to learn what is needed for the next stage of their careers!